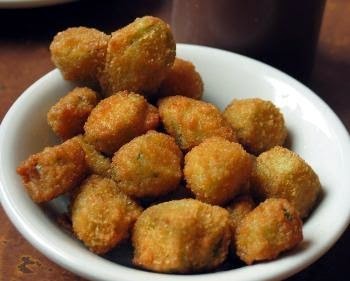 Fried Okra, a Soul Food Classic! A great dish in the south. 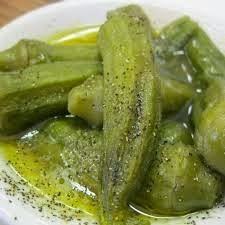 I love Okra you can prepare it so many ways.I got recipes for you to try yourself. Preheat the fryer to 375 degrees F, or if using a skillet heat the oil. Whisk together the buttermilk,egg. set aside. In a separate bowl, combine the cornmeal with the flour, salt and Cajun seasoning. Dip the okra into the buttermilk, let excess buttermilk drip off and then dredge in the flour mixture. Fry in batches for 3 or 4 minutes, or just until golden brown; don't overcrowd! Sprinkle with additional salt if desired; serve hot. Combine okra, tomato, onion, garlic & jalapeno. In separate bowl combine eggs, salt, pepper, milk. Pour egg mix over vegetable and toss to thoroughly coat. Gradually add cornmeal until liquids are all soaked up and the mixture is evenly mixed. Mixture will be a gooey. Heat oil in saucepan until very hot. Spoon mixture evenly into pan. Cover and fry till underside golden brown, 10-15 minutes. Invert onto plate, then carefully put back into pan with the un-browned side down. Cook uncovered until golden brown. Remove from skillet to paper towels to drain excess oil. 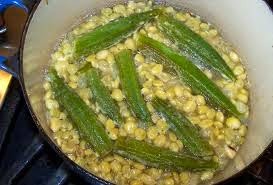 Wash okra, cut and fry in 2 tablespoons oil until it is not sticky (DO NOT USE CAST IRON POT). 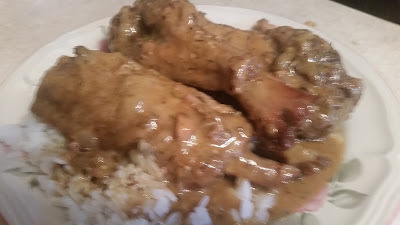 In a skillet, make a medium dark roux with 1 tablespoon oil and 1 tablespoon flour. Add chopped onion, bell, and celery and simmer until wilted. Add tomatoes and simmer for 5 mins. 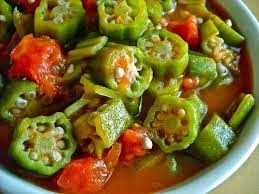 Add okra, season well with Tony Chachere’s and reduce heat. Cook for 1 hour. Add bacon dripping to a pan and saute the cut up Okra and onions and add spices.cook until tender. 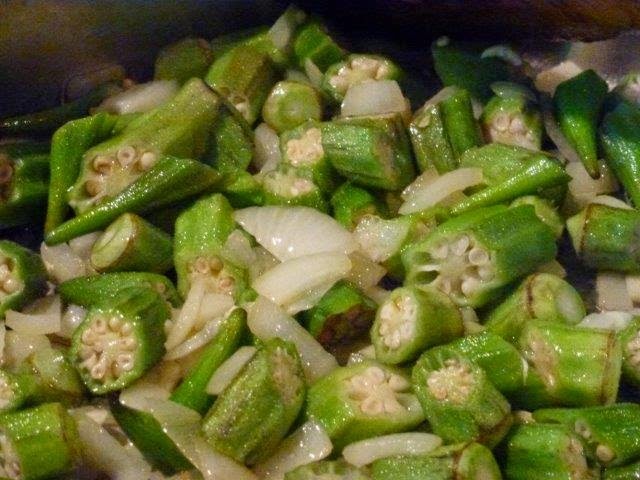 Place the okra in a pan with cold water to just cover. Bring to a boil and add the vinegar. Do not stir okra while cooking. Boil until fork tender. Add butter and salt and pepper to taste. Lift okra from pan carefully to serve.